In the past, I have never been one to have a wreath on my door anytime except for Christmas, much less try to make one myself. This year though, I wanted to be different and make the door look like “Fall” because I’m so excited that Fall is actually here! I was at my local craft store and I saw the things that I wanted to use and then I had to figure out how to put it all together. I have to admit, it wasn’t as easy as I thought it would be and I did get some help from the wreath maker in the family, my Mom. In the end, I have a fall wreath along with some pumpkins near the front door to celebrate fall! 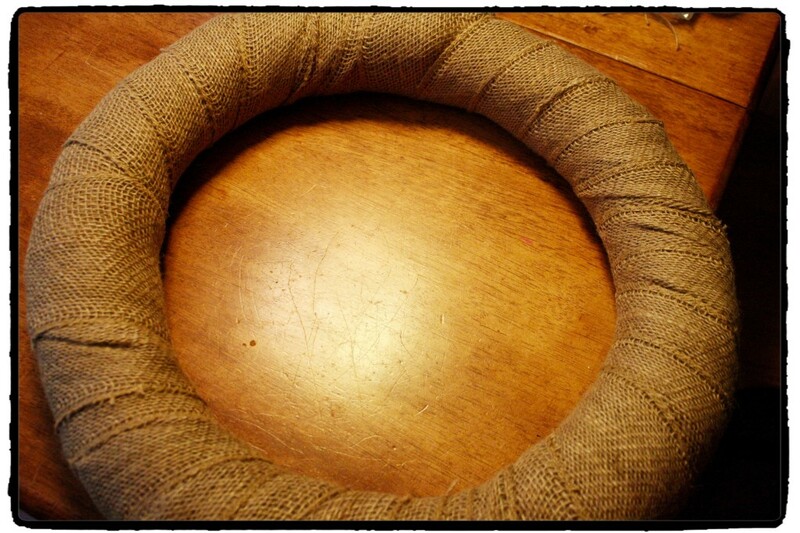 I started out by taking a straw wreath and wrapping it in this burlap ribbon that I found for 50% off at the craft store. I used hot glue to make sure it was attached and stayed tight as I wrapped it around the wreath. 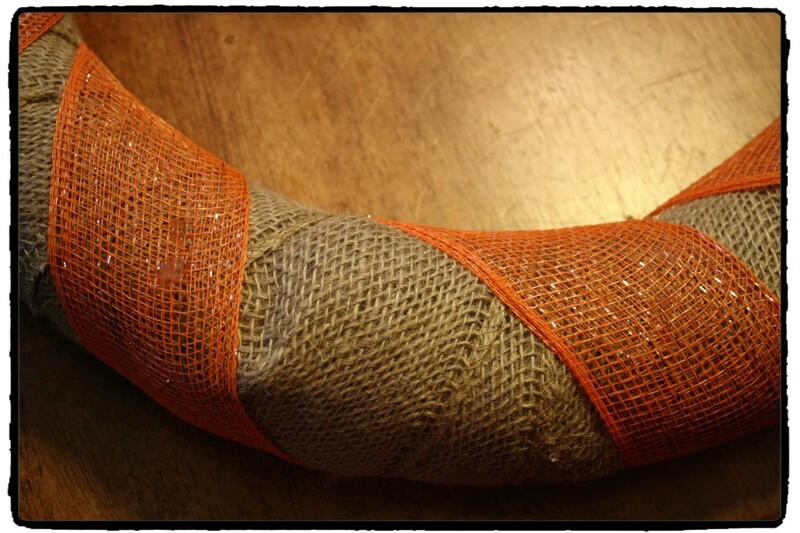 I then found some really nice orange ribbon that had a bit of shimmer in it and it was also on sale. I wrapped it around the wreath for a pop of color and attached it as well with hot glue. This was a bit more tricky in that the hot glue was melting this fabric a little if I used to much. It was time to start putting on some Fall accessories. 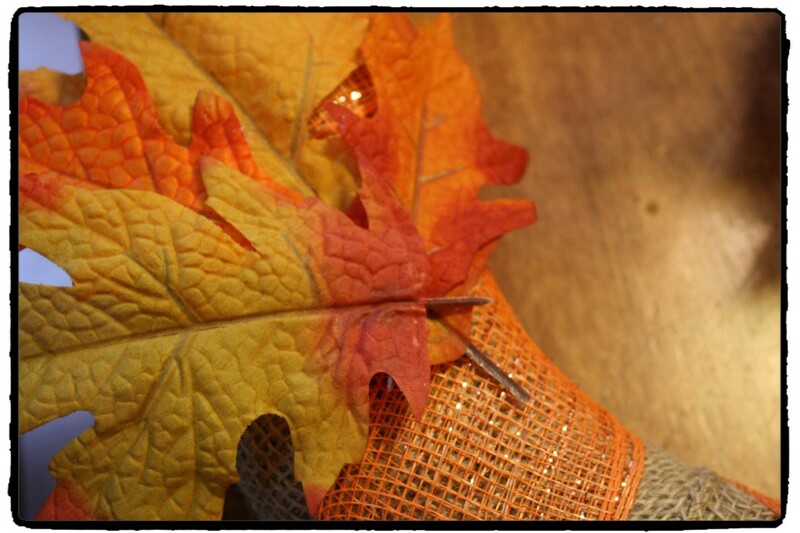 I found this bag of colored leaves that I wanted to incorporate so I put some on the lower part of the wreath and attached them with hot glue. I also found this pumpkin at the dollar store and knew that for $1, I had to use it on this wreath! It took a lot of hot glue to get the pumpkin to stay on and I also used some acorns to hold up the pumpkin so it would sit correctly on the wreath. Finally, it was time to add the bow. This is one area where I have no clue what I’m doing. I haven’t been able to do bows on packages or anything my entire life. I asked my Mom for a bit of help and she made it look really easy. She made two large loops and then took another piece of the ribbon and tied the loops to the wreath in the middle. Secured it with a little hot glue and we had a bow! I’m pleased with the final product as it hangs on my door. I like that it ushers in Fall but is not over the top. It was well worth the hot glue burned fingertips as I learned how to make my first ever wreath! Oh, I love how simple this is and yet it is so pretty. Thanks for sharing your creativity and linking up to Thrifty Thursday. Thank you – I love how it turned out and I like the simplicity of it. I’m not an over the top kinda gal, simple is my way. Thank you for stopping by! I love this! I made my first wreath last year for spring after pricing them at the store for $50-80!!! Making it yourself is so much fun and so rewarding! It’s always nice to come home, but when you see your crafty work haning on the door it makes it extra special. Great job! 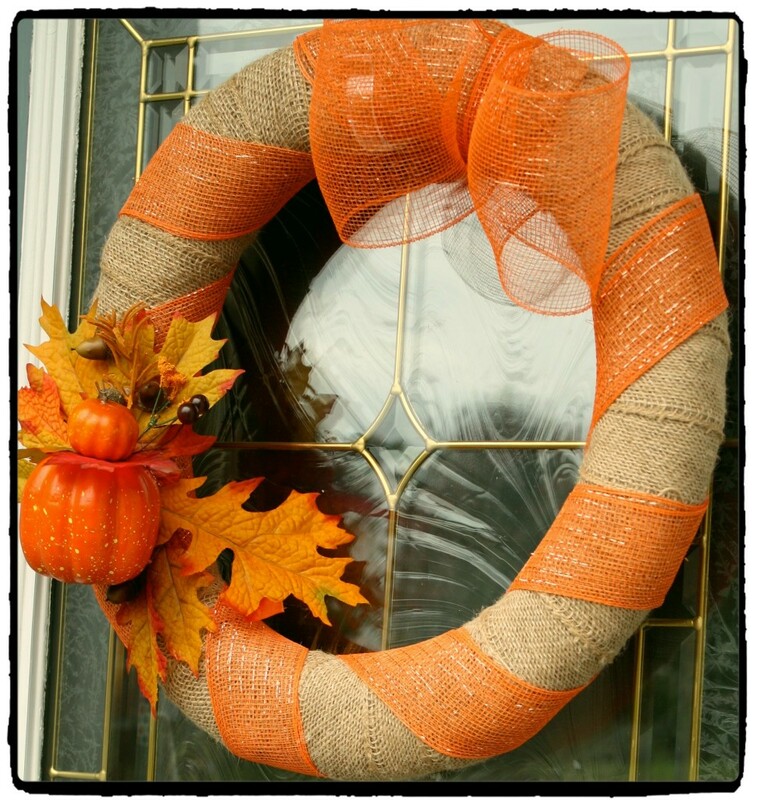 Stopping by from Thrifty Thursday – what a cute wreath. I will have to try this for my front door! Thank you! It’s a nice way to come home and see something pretty on the door that you made yourself. Thank you for stopping by! Love this project!! Thanks so much for sharing it on the Fantabulous Fall Tour link.